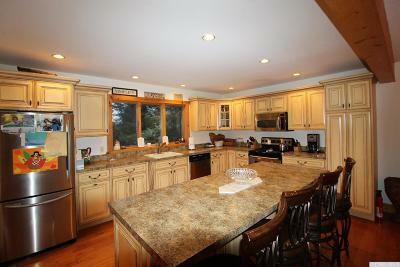 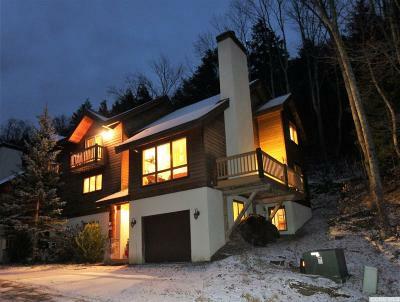 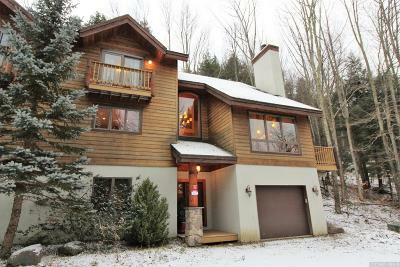 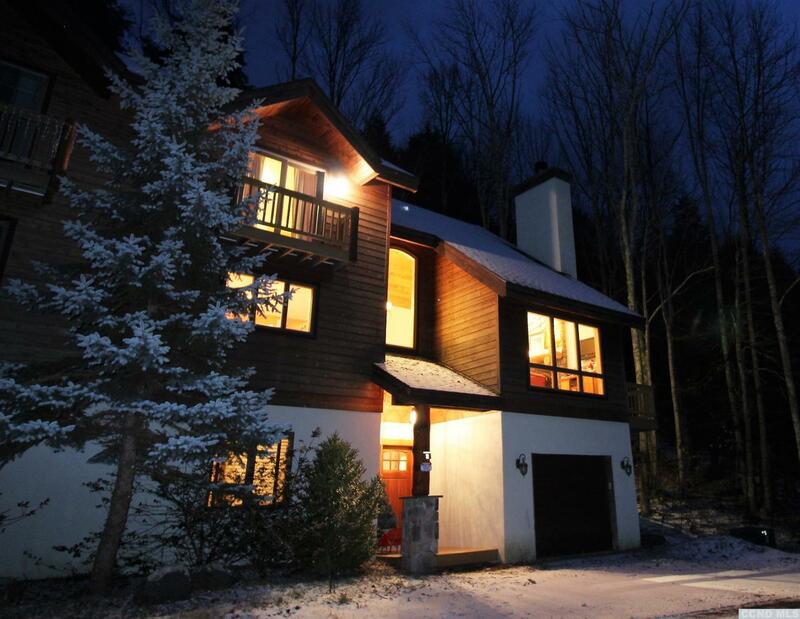 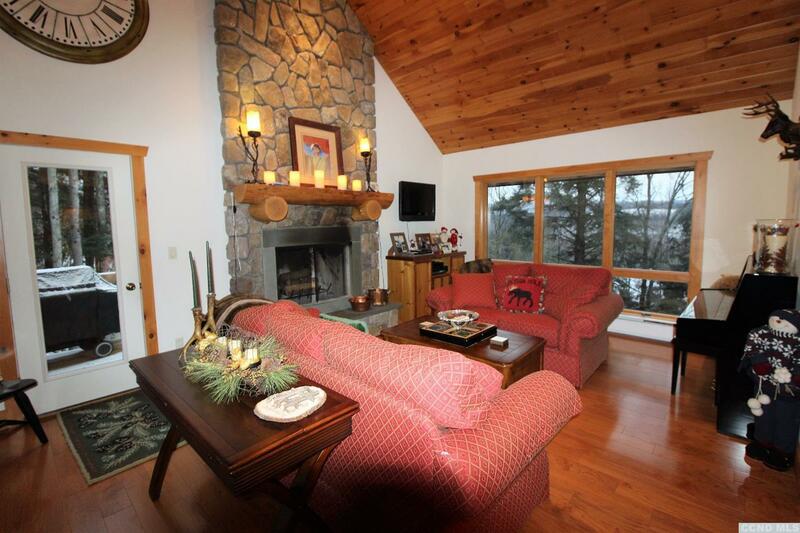 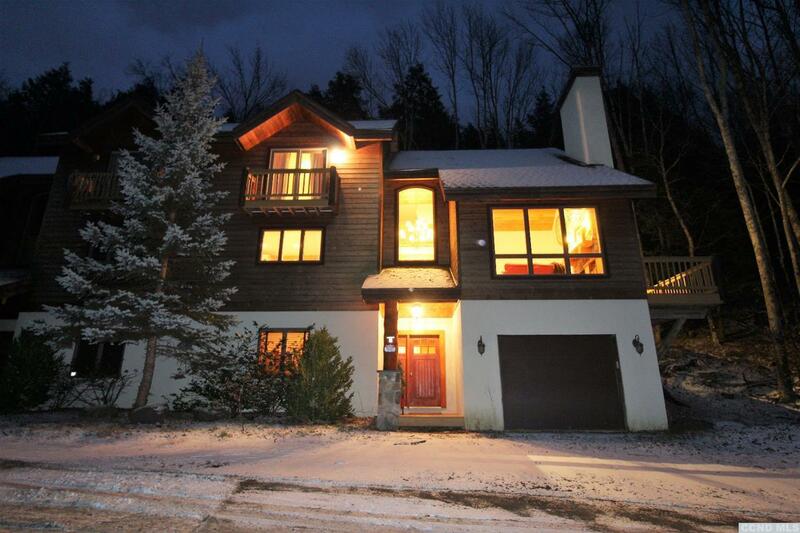 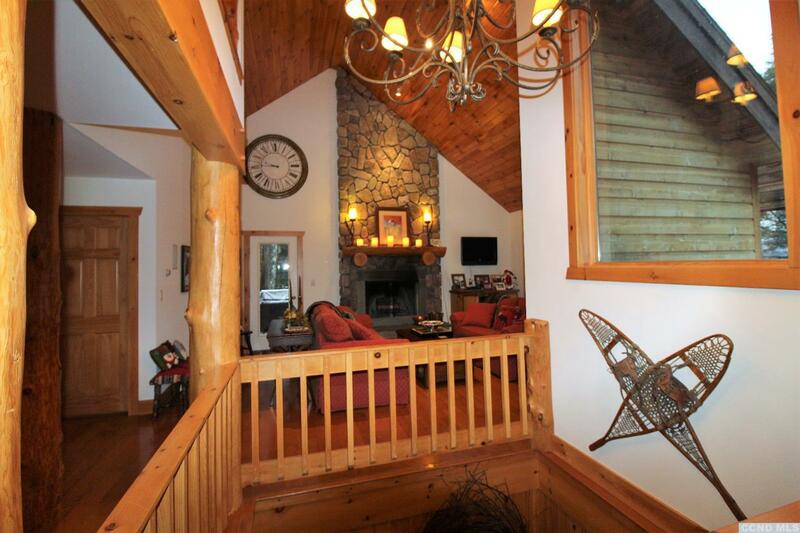 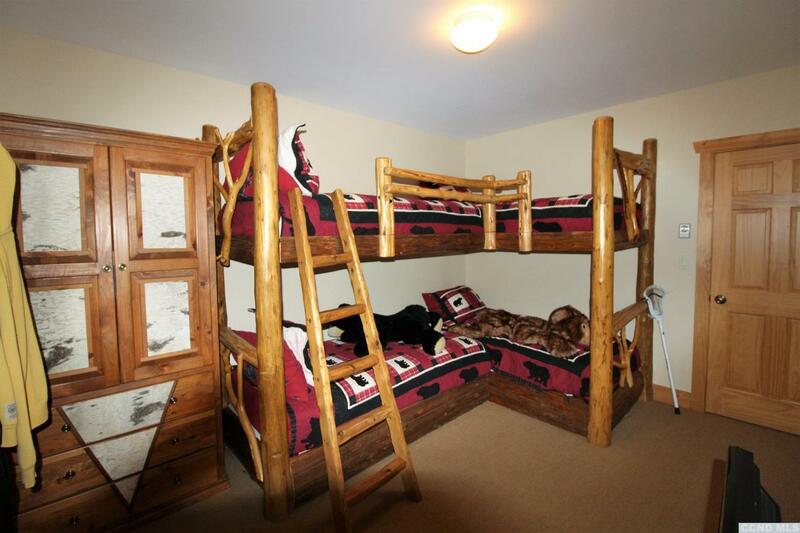 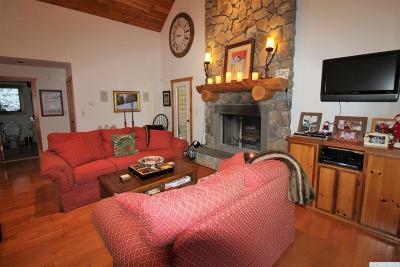 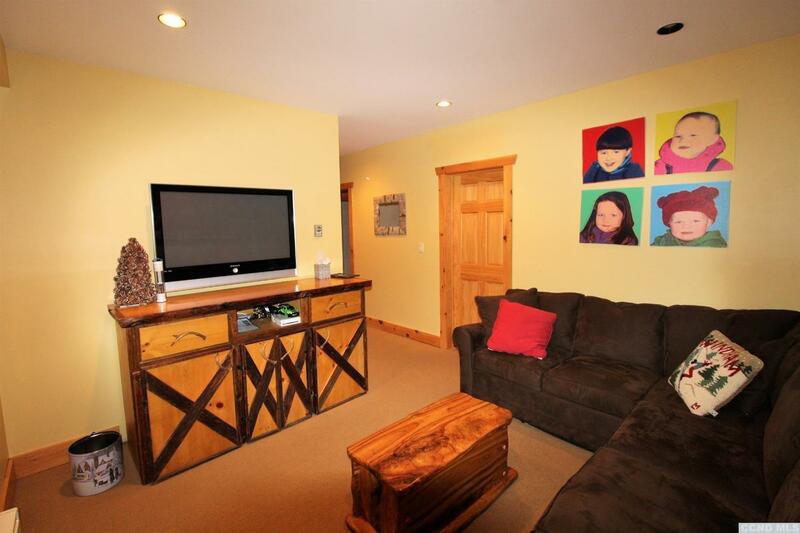 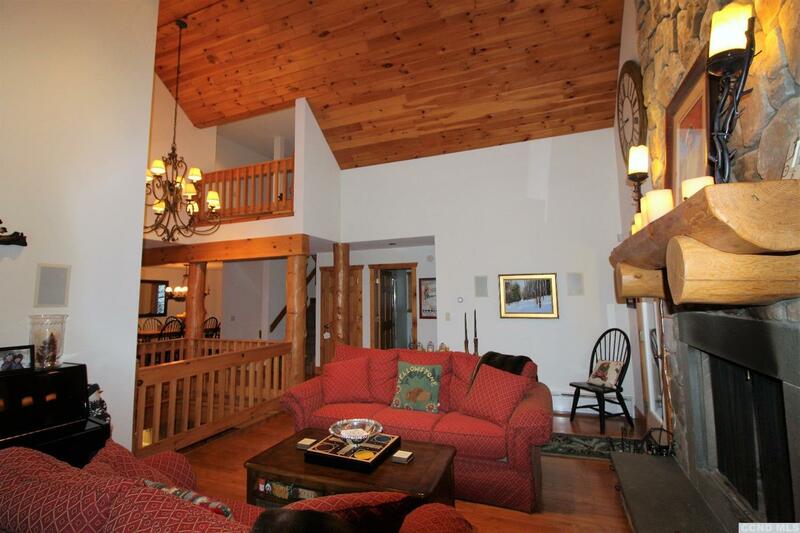 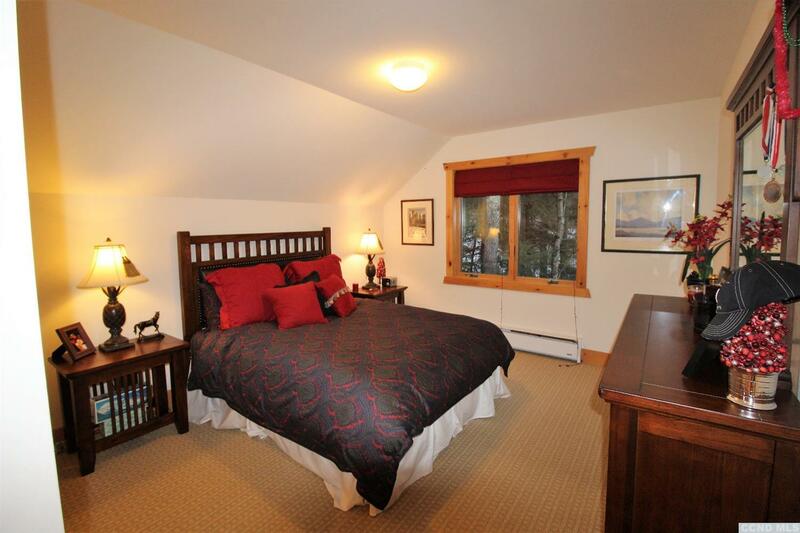 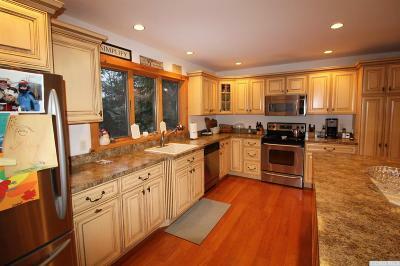 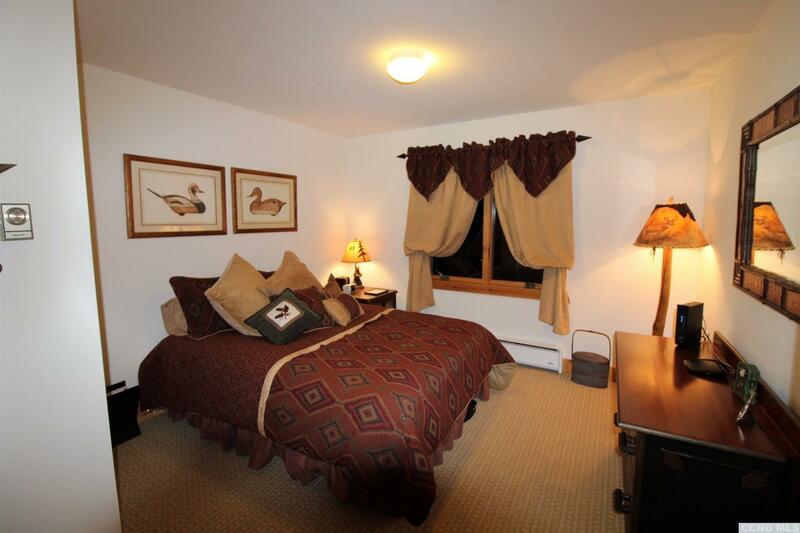 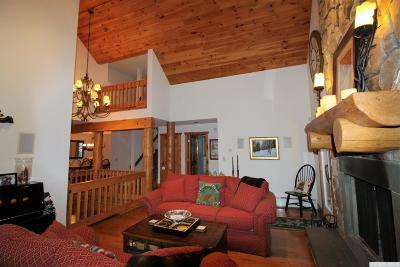 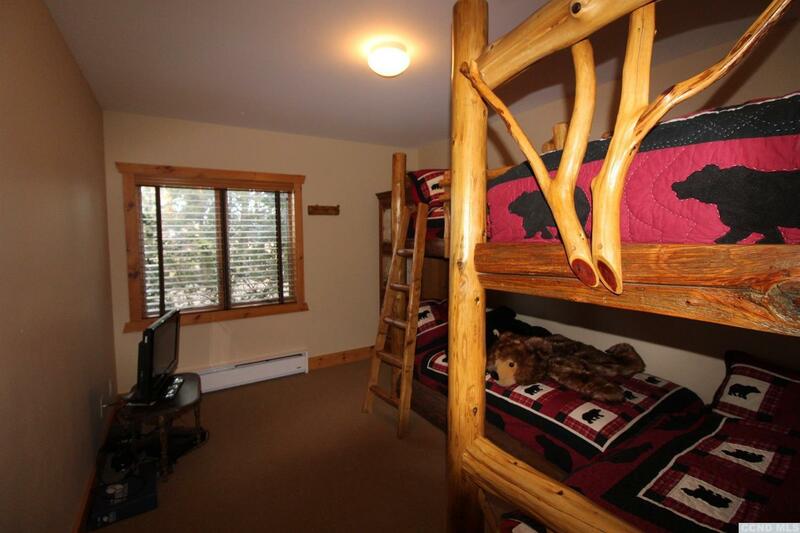 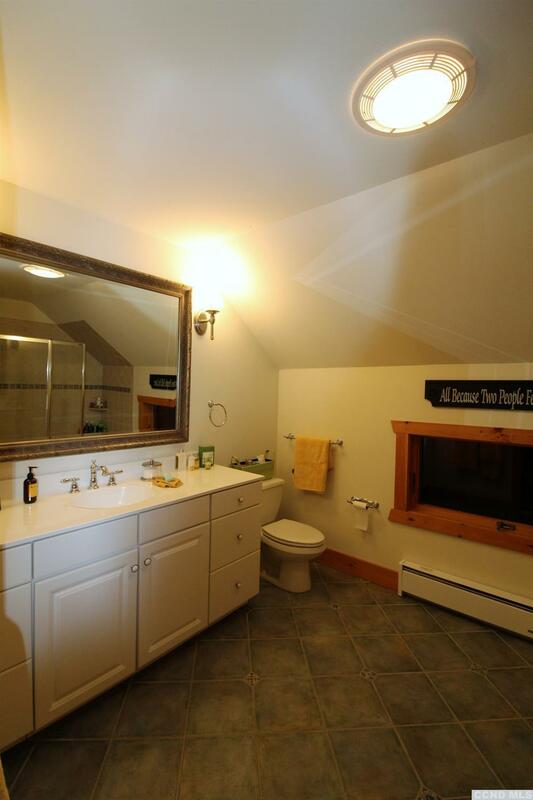 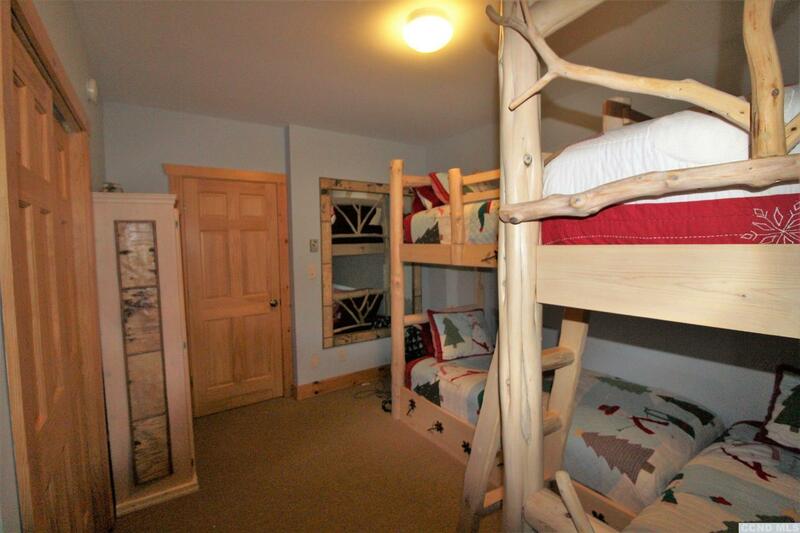 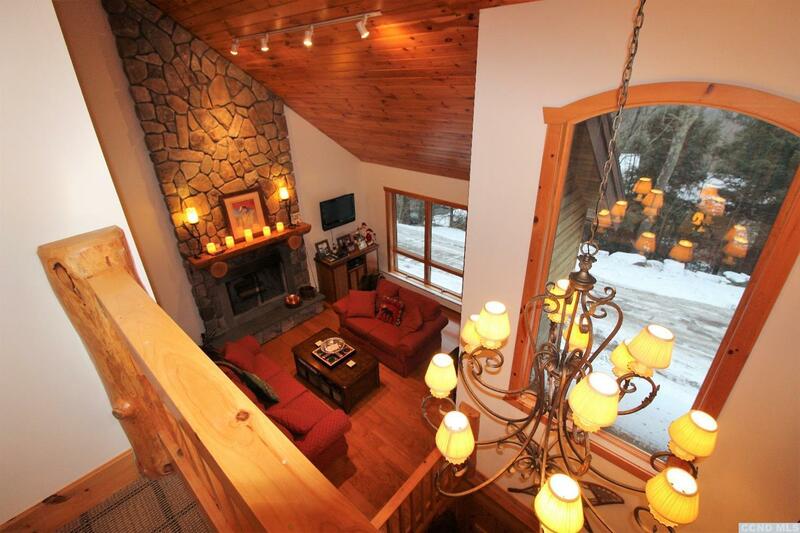 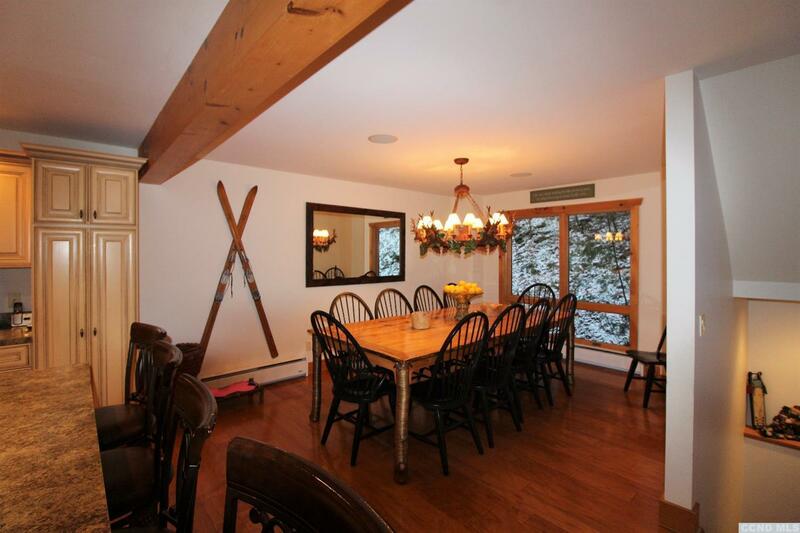 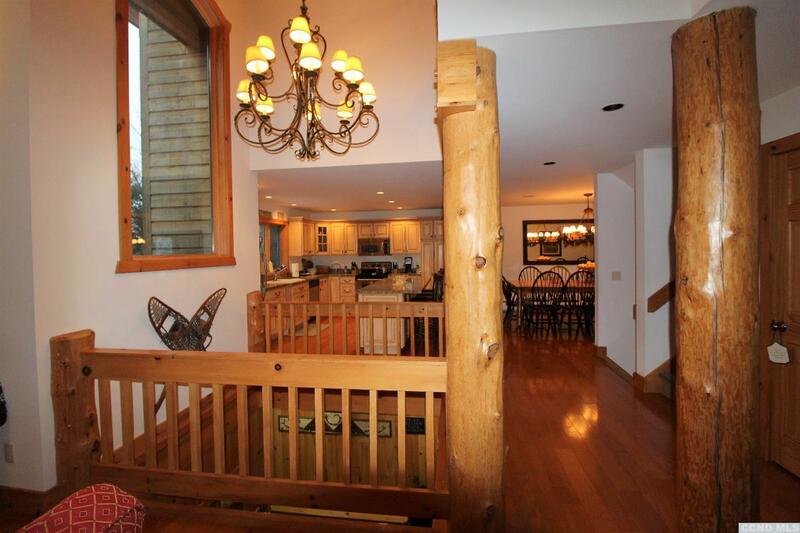 Located on Windham Mountain, with 5 bedrooms & 4 baths, this duplex easily accommodates 2 families with 2 bunk rooms featuring custom bunks (each sleeps 4), 2 master bedrooms plus a guest room. 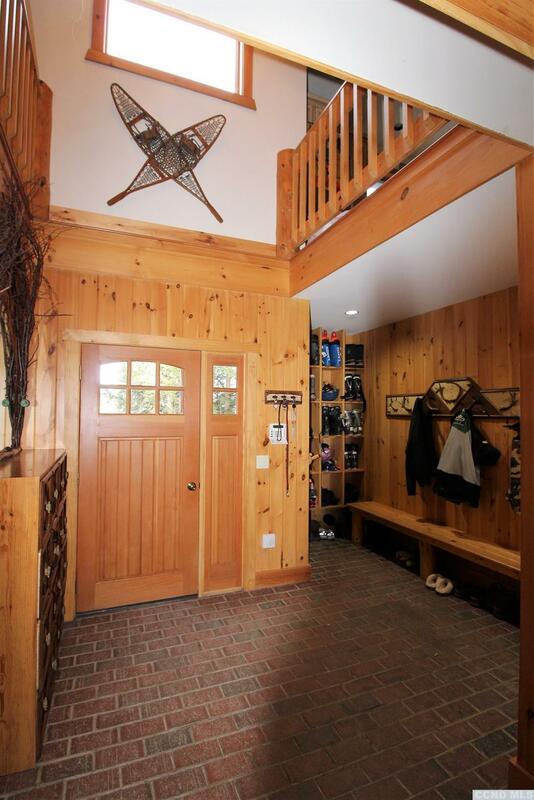 Pull into the one car garage & walk into a large entry with brick floor, radiant floor heat, built-ins and a soaring ceiling. 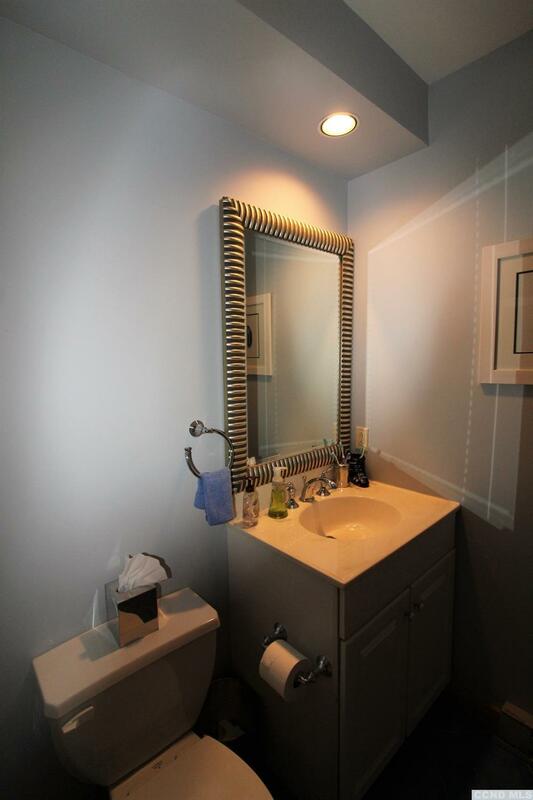 Well thought out floor plan with separate kids space on first level and open, spacious kitchen with painted/glazed cabinets, large center island & adjoining dining room on second level. Tongue and grove cathedral ceilinged living room with large stone fireplace create a lovely gathering space. 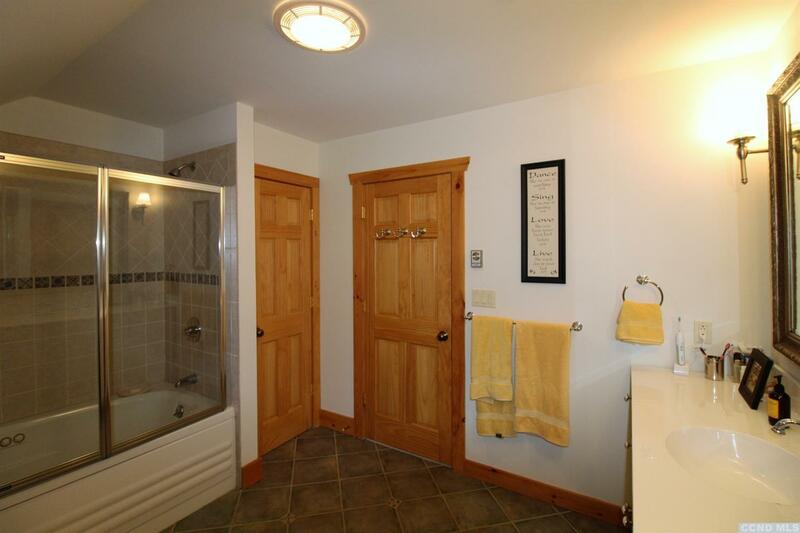 Extra bedroom for guests & full bath also on this level. 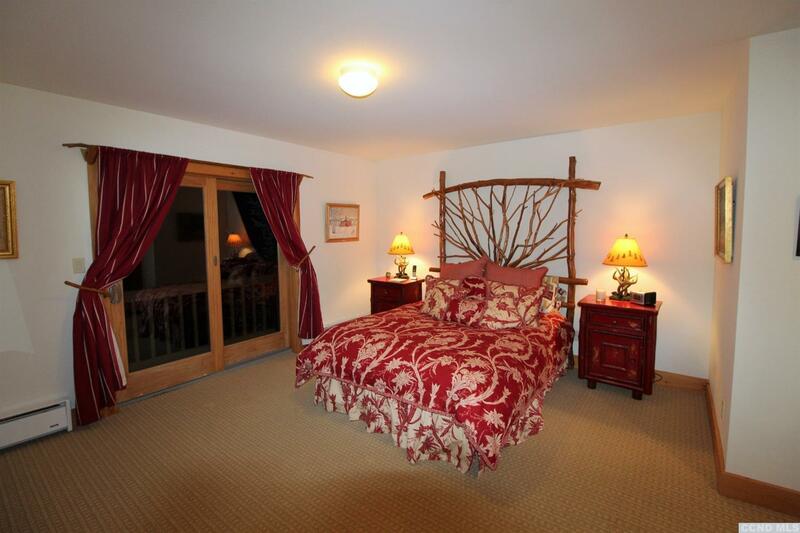 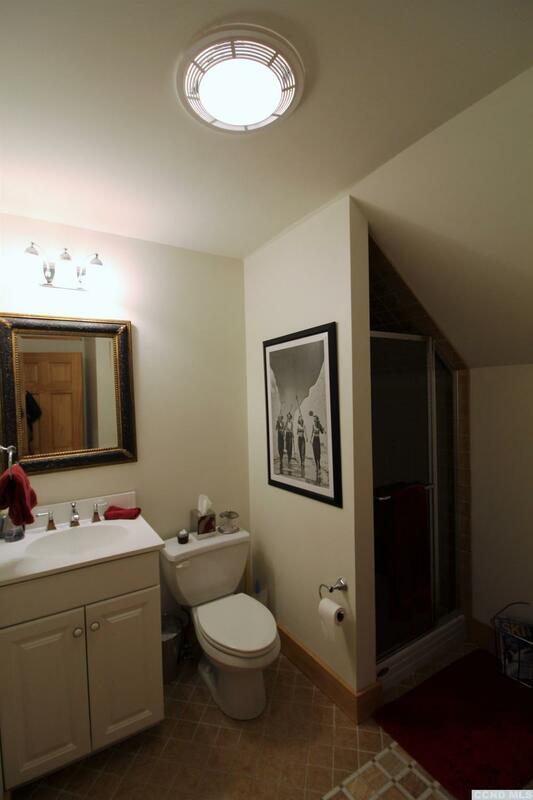 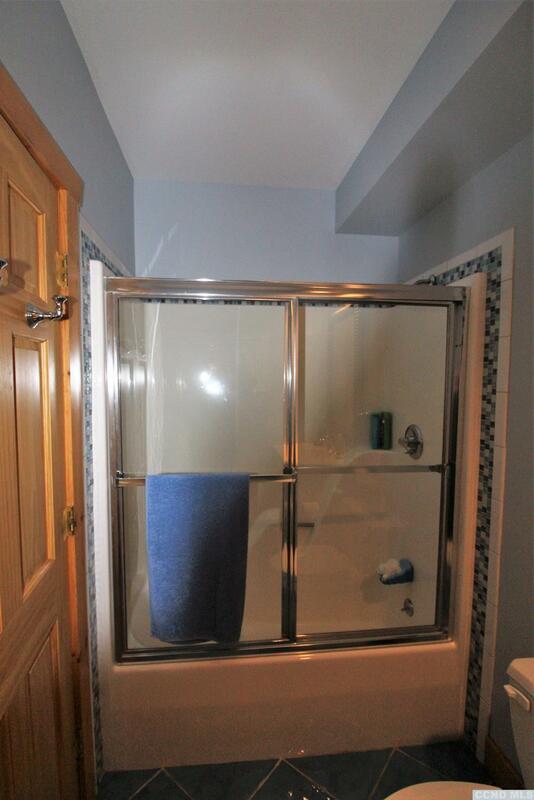 2 private master bedrooms with ensuite baths located on the 3rd level separated by a balcony. overlooking the living space. 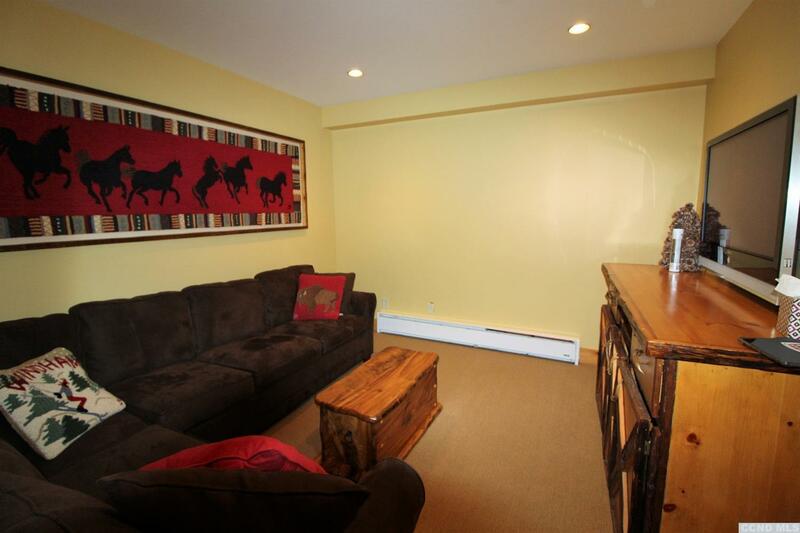 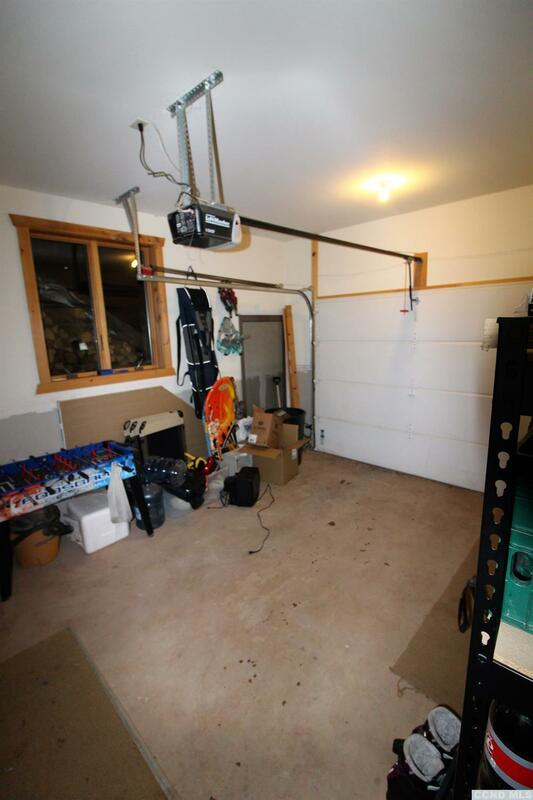 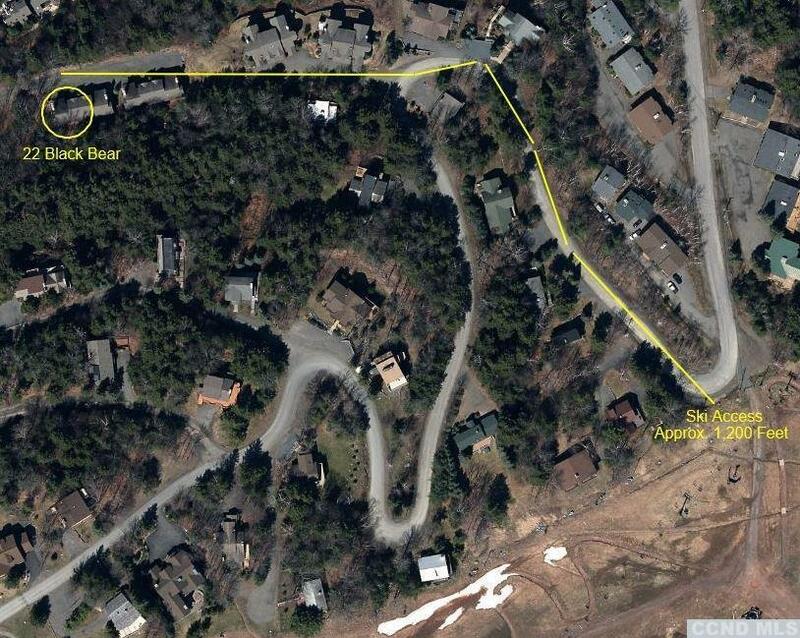 This duplex is being sold mostly furnished, is in excellent condition and within walking distance to the trails!